The Riigikogu passed with 68 votes in favour the Aliens Act and Associated Acts Amendment Act (1040 SE), initiated by the Government of the Republic. The Act authorizes the Border Guard Administration to decide at the border point whether to issue a visa as an exception or refuse to issue it. The Act provides a possibility to issue a visa exceptionally at the border point to an alien who does not meet the conditions for the issue of a visa, but the issue of a visa is still necessary for humanitarian considerations, national interests or the implementation of international duties. In such cases, pursuant to the Act, the visa may be issued exceptionally at the border point to an alien only upon the decision of the Minister of Internal Affairs. The Riigikogu passed with 70 votes in favour the Chancellor of Justice Act Amendment Act (1049 SE), initiated by the Government of the Republic. The Act enhances the competence of the Chancellor of Justice, giving him or her the right to act as a preventive institution of the state, as stipulated in Article 3 of the Optional Protocol to the Convention against Torture and Other Cruel, Inhuman or Degrading Treatment or Punishment. 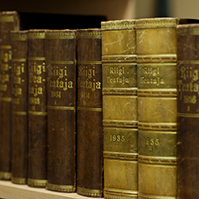 The Chancellor of Justice will include an overview of his or her activities as a preventive institution for avoiding torture and other cruel, inhuman or degrading treatment or punishment in his or her overview to the Riigikogu about the constitutionalism of the legislation of general application and their legality and respect for fundamental rights and liberties. 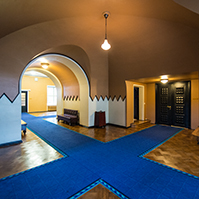 The Riigikogu passed with 75 votes in favour the State Culture Awards and Culture Grants Act Amendment Act (1047 SE), initiated by the Government of the Republic. The Act increases the number of persons who receive awards for the long-lasting outstanding creative work from two to three. From the next year, the size of the award will increase from the present EEK 300,000 to EEK 600,000. 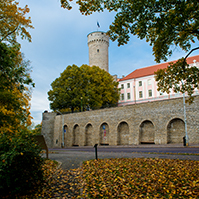 The Riigikogu passed with 76 votes in favour (1 against) the Estonian National Broadcasting Act (965 SE), initiated by the Government of the Republic. 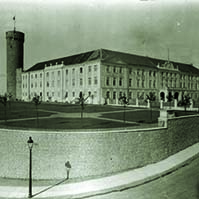 The Act joins the Estonian Television and the Estonian Radio in a uniform modern broadcasting organization. The supervisory Board of the Broadcasting will be formed of politicians as well as of experts. 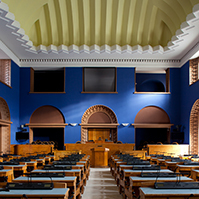 The Bill on Amendments to the Constitution of the Republic of Estonia (974 SE), initiated by 86 members of the Riigikogu. 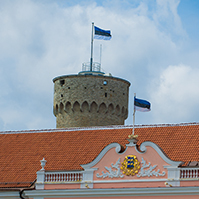 The purpose of the Bill is to amend the preamble of the Constitution, in order to give prominence and ascribe importance to the meaning of the Estonian language as the bearer of the Estonian culture and national identity. The Bill on Amendments to the Public Information Act and Associated Acts (1027 SE), initiated by the Government of the Republic. One of the purposes of the Act is to determine legally the composition of the state information system, to regulate the organisation of databases in the system and to give legal bases for rendering and use of data transmission services.